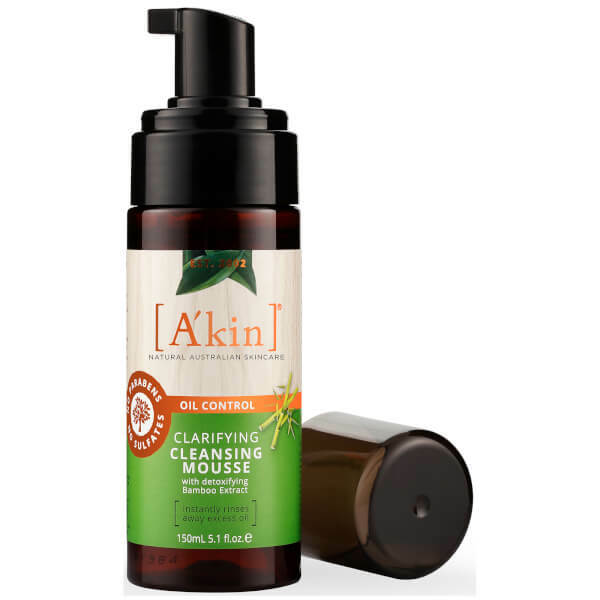 Achieve a clear, healthy-looking complexion with the A'kin Oil Control Clarifying Cleansing Mousse; a detoxifying formulation that effectively eliminates excess oil and breakout-causing bacteria without stripping moisture. Performing a deep cleansing action, the refreshing foam expertly dissolves dirt and impurities with its blend of Sugar and Amino Acid cleansers. Rosemary, Bamboo and Ginger work in tandem to deliver sebum-controlling properties and decongest blocked pores. Skin looks smooth and refined with restored vitality.